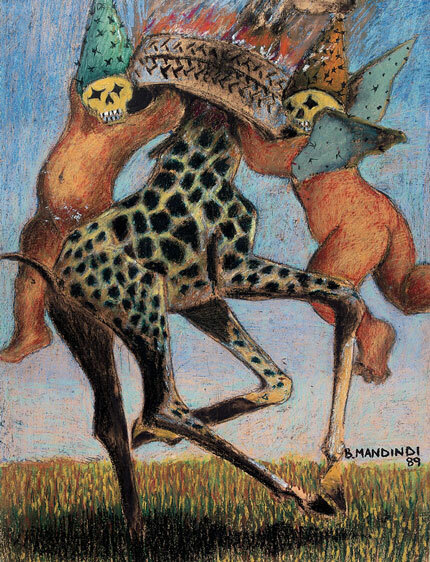 Billy Mandindi - The death of township art (1989). The above text is an excerpt from a review: Lize Van Robbroeck, De arte, Issue no. 77 (2008).